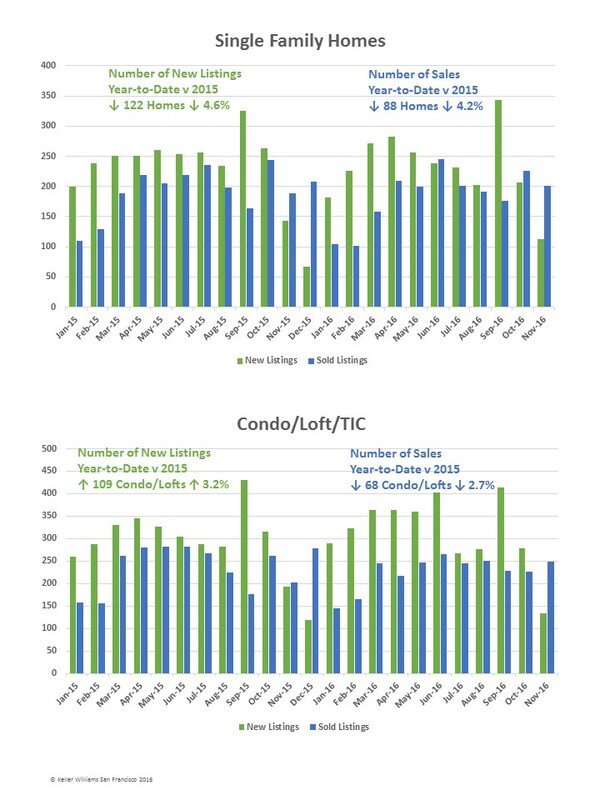 Entering the heart of the holiday season, the number of sales and sales prices were mixed in the single family home and condominium/loft/TIC markets. Single family home median sales prices dipped in November to $1,372,500 from October’s all time high of $1,407,500, but are still up $110,000, or 8.7%, from November, 2015. 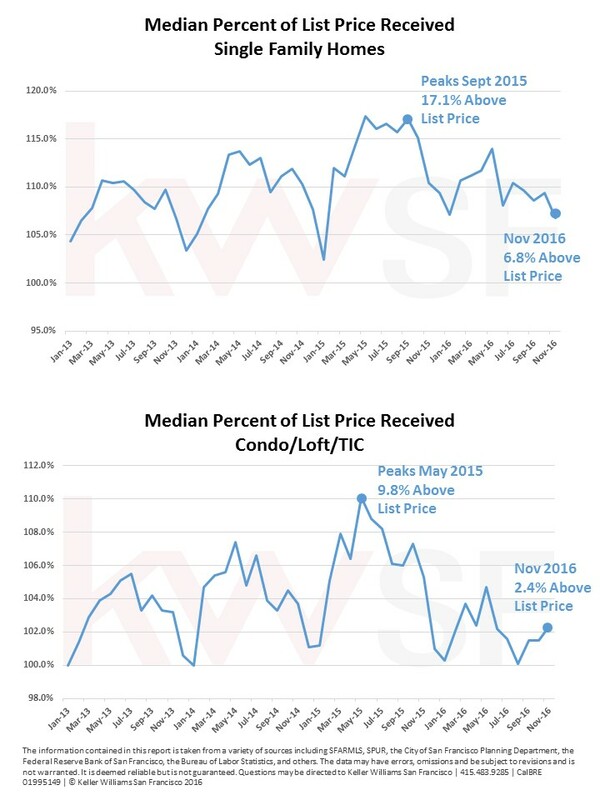 In condominium/loft/TIC sales, median sold prices have been bobbing up and down between $1,000,000 and $1,150,000 for the past two years, and closed November at $1,044,500, just above the $1,023,500 where they started in January. Year-on-year, there is a 6.9%, or $78,000, decrease in the median sold price. 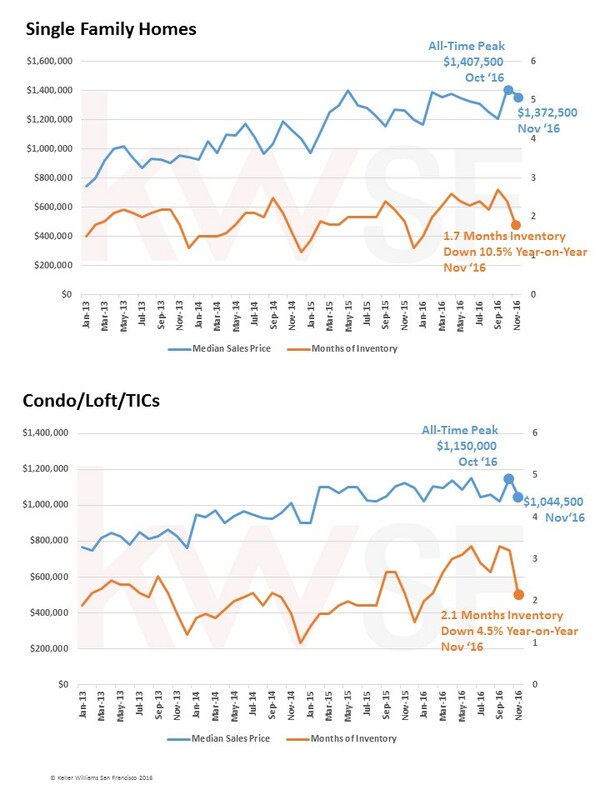 Inventory levels in November took their typical seasonal nosedive, dropping to just 1.7 months of inventory for single family homes and 2.1 months for condo/loft/TICs. Finally, the median percent of list price received for single family homes was the lowest it’s been since January 2015: 106.8%. This could indicate that prices are peaking in the single family home market.